WashingtonGardener: Arugula: You Can Grow That! Arugula: You Can Grow That! 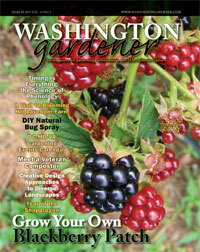 On September 30, the first day of my internship with the Washington Gardener Magazine, I was confronted with a difficult decision — what did I want to grow? As part of my internship, I was to plant something and monitor its growth over the course of the semester. While I can’t remember what my options of seeds were that day, I do remember that I chose to plant arugula because I use it at least four times a week in salads and was excited to be eating something I planted from scratch. I planted the arugula seeds that day in editor Kathy Jentz’s community garden plot in the ground and in a raised pot. I planted two longs rows in both spots, sprinkling the seeds up and down, covering them with some soil, watering them with a little bit of water and hoping for the best. I checked on the seeds one week later on October 7 and was extremely happy to see that they actually began to sprout. The plant grew faster in the ground than in the pot. I held off on cutting them just yet, so they could grow a bit taller. The next time I checked them on October 19, I was pleased again at the rate of their growth. Once again, I held off on cutting the plant, but I did nibble on some leaves and it was delicious! I was finally able to cut leaves from my plants on November 2 because of the rapid rate at which it was growing. I did note that the container plants grew at a slower pace than the ones in planted directly in the soil. I made myself an amazing arugula salad for dinner and bragged about my green thumb to my friends and family. I came back to cut the plants one week later and the plants in the soil had re-grown to an impressive height! I cut those down and enjoyed another salad and bragging session. However, the container-grown arugula continued to lag slightly behind. I returned to my plants on November 18 to find that the container plants began to sprout dark purple leaves and tasted a little peppery. After experiencing some rain and gloomy weather, I checked my plant again on December 14 for the last time and saw that the in-ground plants grew enough to make another nice salad and the container plant had also filled in — though they grew more slowly and showed purple and red leaves. I cut both sets of plants back and said a tearful goodbye. I will definitely plant arugula in the future because of how simple it was to care for and how leaves sprouted and re-grew so quickly. Joelle Lang, a senior at the University of Maryland, College Park, is a multi-platform journalism student in the Philip Merrill College of Journalism. 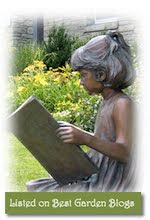 This past autumn, she was also an editorial intern for Washington Gardener Magazine.